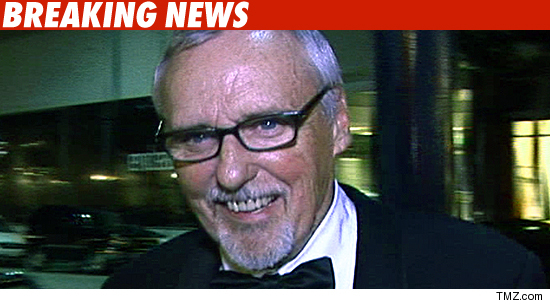 Hollywood icon Dennis Hopper’s death has brought about a sad face in whole of film industry. First it was Gary Coleman and within days its Dennis Hoper. Tough week for all of us. Dennis Hopper , aged 74 was suffering with prostate cancer. Besides cancer, his life was really in tough situation divorcing his long term partner. An article found in paper is given below. LOS ANGELES (Reuters) – Hollywood actor Dennis Hopper, best known for directing and starring in the 1969 cult classic “Easy Rider,” died Saturday at his home in Venice, California, from complications of prostate cancer, a friend told Reuters. Hopper was 74. The hard-living screen icon died at 8:15 a.m. PDT , surrounded by family and friends, said the friend, Alex Hitz. Well, its time that we understand every one has to leave the world one day or the other. Lets pray that Dennis Hopper rests in peace. Rihanna Hates Paparazzi "More Than the Nazi"
Bayer Aspirin prevents Heart Attacks? Michael Jackson's doctor seeks dismissal of lawsuit against him on MJ death!